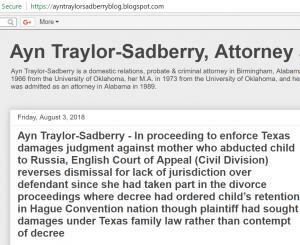 Alabama Family Lawyer Ayn Traylor-Sadberry publishes final article in her series on "Paralegals"
In final article of the Paralegal series, Ayn Traylor-Sadberry reviews types of paralegals and their work assignments. Paralegals can be delegated any task normally performed by a lawyer, as long as the lawyer supervises the work (except those specifically proscribed by law). For example, Paralegals can review and organize client files, conduct factual and legal research, prepare documents for legal transactions, draft pleadings and discovery notices, interview clients and witnesses, and assist at closings and trials. But Paralegals (and their supervising Attorneys) must always avoid the “unauthorized practice of law.” Generally, Paralegals may not represent clients in court, take depositions, or sign pleadings. In addition, Paralegals may not establish the attorney's relationship with the client or set fees to be charged, and may not give legal advice to a client. The continued usage of Paralegals in the profession is also a mandate of pure economics. Paralegals significantly reduce attorney burden and costs. In many instances it affords the practitioner the ability to lower legal fees in certain practice areas. They are also extremely valuable in their ability to maintain increased client communication and contact which further enhances client satisfaction and customer service. Paralegals also are of tremendous economic value to the law firm or office, as their hourly time spent on individual cases may be billed to the client separately, and at lower rates for the clients. Such staff may increase client satisfaction and provide a significant additional income stream for the law practice if managed effectively. Additional benefits to the firm as well as the community is the usage of Paralegals in Pro Bono activities and services. Paralegals enhance the ability of law firms to provide significantly more pro bono legal services as they could have through attorneys alone. As in every aspect of the practice of law, utilizing Paralegal services comes with corresponding ethical considerations for the attorney or firm. Attorneys are ultimately responsible for the work product of Paralegals. Even more, Attorneys are also responsible for the ethical conduct of the Paralegals whom they employ. Any transgressions by the Paralegals may subject the Attorney to professional discipline. This is due to the fact that Paralegals are not directly subject to any rules of professional conduct promulgated by courts, legislatures, or government agencies, the (supervising) Attorneys are. However, Paralegals who are members of national and/or local Paralegal associations are required to follow the ethical codes of those associations. As pertains to fees and compensation, a Paralegal's substantive legal work (i.e., that which is not clerical) may be billed directly to the client just as an attorney's work is billed, or considered in setting a flat fee just as that of an attorney's work. Attorneys may compensate Paralegals based on the quantity and quality of their work and the value of that work to the law practice. Paralegal compensation, however, may not be in any way based on a contingency, by advance agreement, or on the specific outcome of a particular case. In addition, Attorneys may not split any legal fees with Paralegals nor compensate Paralegals for the referral of legal business. 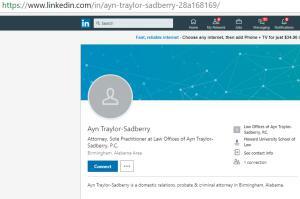 They are also not permitted to be a partner or shareholder in a law firm. As previously mentioned, the educational programs for Paralegals widely vary. These programs may or may not be approved or accredited. Those educational programs that are affiliated with a college or university may offer Associate's degrees, Bachelor's degrees, Master's degrees, and/or certificates, which may be classified as undergraduate or post-baccalaureate certificates. Proprietary schools generally offer certificate programs. 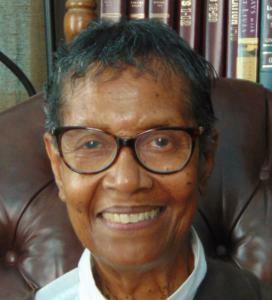 Educational programs are also available via The American Association for Paralegal Education (AAfPE), NALS – the Association of Legal Professionals, the National Federation of Paralegal Associations (NFPA), the National Association of Paralegals (NALA), and the American Alliance of Paralegals (AAIPI) have developed accredited curriculum. Paralegals play an indispensable role in the legal profession, and if the predictions are correct, that indispensable role will continue to expand as economic pressures force law firms and businesses to become ever more cost-effective. While the job outlook for Paralegals is bright, this may adversely affect Attorneys, whose work will migrate as much as technical and ethically possible to Paralegals. Just as a doctor’s workload may in part be handled by nurses or nurse practitioners, a lawyer’s workload will end up where it is most cost-effective (subject to professional and ethical rules). The only constant in life is change, and this is just another example of how times are changing. The drum computer has to a large extent replaced the drummer in a band or studio recording. The remote-controlled drone has in part replaced the fighter pilot. The taxi driver may soon be replaced by Google’s or Uber’s self-driving cars. To say it with Bob Dylan, the Times They Are A-Changin and the profession must adapt to new economic realities. Legal Information Tips : What Is a Legal Assistant? Industry experts are set to discuss the latest developments in Drug Discovery Chemistry at the 3rd Annual Drug Discovery Chemistry Conference 2019, in London. Industry experts are set to discuss on the latest developments in the field of Drug Discovery Chemistry at the 3rd Annual Drug Discovery Chemistry Conference 2019, taking place in London, UK. There is unwavering pressure on drug discovery scientists to be more innovative and creative whilst at the same time be more efficient in discovering a higher number of successful drug candidates. In the past two years the conference and workshop had been a success, providing delegates with an opportunity to discuss, learn and gain insight into the latest industry topics. 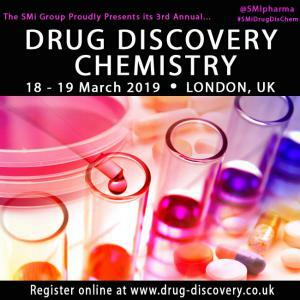 For this reason, SMi encourages industry peers to attend the 3rd Annual Drug Discovery Chemistry Conference (http://www.drug-discovery.co.uk/PR2) taking place on 18th and 19th March 2019 in London, UK. Which emerging advances in the field are you most excited about? 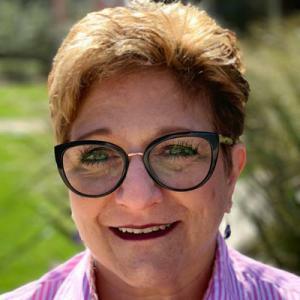 "I am very excited about the emerging PROTAC testing combined with pharmacology data and the potential PD/PK disconnect, demonstrating potential benefits in vivo. The whole industry is waiting for the first clinical trial studies using this new modality." What, in your opinion, are the biggest challenges drug discovery scientists are facing currently? "Certainly, the increased difficulties/hurdles to reach the market, the capacities to integrate the large volume of data, to visualise them and the pressure to reduce timelines as much as possible. I am very excited about the emerging PROTAC testing combined with pharmacology data and the potential PD/PK disconnect, demonstrating potential benefits in vivo. The whole industry is waiting for the first clinical trial studies using this new modality." An interactive half day post-conference workshop will take place on 20th March led by Dr. Nick Camp, Drug Discovery Consultant at Nick Camp Consulting Ltd. The workshop will focus on Artificial Intelligence in Drug Discovery discussing upon current opportunities, challenges and future direction for this technology. Increased Demand For Water Soluble Fertilizers Is An Opportunity for Fertilizer Manufacturers, New Study Shows. LONDON, GREATER LONDON, UK, December 19, 2018 /EINPresswire.com/ — The water-soluble fertilizer market is growing rapidly and defying the wider fertilizer market trend, Fertilizer Global Market Opportunities And Strategies To 2022, a report from The Business Research Company, shows. The favorable trend for water-soluble fertilizers is due to the increased commercial cultivation of high value crops to meet rising demand for safe and organic food. These fertilizers are specifically designed to be used in fertigation systems such as sprinkler and drip irrigation systems. Increasing awareness among farmers in developing countries of technology-based agricultural practices is also driving water soluble fertilizer sales. The rapid growth of the water-soluble fertilizer market contrasts with the larger chemicals-based fertilizer market in which sales growth has barely kept pace with the growth of GDP. That applies both globally and in most of the biggest regional markets for fertilizers. Global fertilizer sales are also growing significantly more slowly than the wider chemicals market of which they are a part. One reason for the slow growth of the wider fertilizer industry is that the 28 member countries of the European Union have all introduced stringent regulations controlling the use of chemical fertilizers. A European Union safety regulation called REACH (Registration, Evaluation, Authorization and Restriction of Chemicals) stipulates that all chemical substances including fertilizers must be registered. Another regulation, CLP (Classification, Labelling and Packaging of substances and mixtures) aims to ensure the safety of consumers and workers. These regulations tend to increase operational costs for fertilizer companies, so affecting fertilizer prices and restraining the market. Lengthy procedures to get approvals from certification bodies are also increasing the overall costs associated with fertilizers. China, too, until 2017 easily the largest consuming country for fertilizers, worth nearly a quarter of the global total, has now introduced strict controls. Regulations on the market such as these will hold back global growth going forward to below global GDP growth and substantially below the growth of the crop market to which fertilizer sales have previously been closely linked. Fertilizer Global Market Opportunities And Strategies To 2022 is one of a new series of market reports from The Business Research Company. It provides a market overview of the fertilizer industry, analysis and forecasts of fertilizer market size and the fertilizer industry shares, market growth rates, market trends, market drivers, market restraints, market revenues, market shares and company profiles of the leading competitors. Similar coverage is provided for over 300 industry reports, covering over 2400 market segments and 56 geographies. The industry reports draw on 150,000 datasets. Extensive secondary research is augmented with exclusive insights and quotations from industry leaders obtained through interviews. Market analysis and forecasts are provided by a highly experienced and expert team of analysts and modelers. Actionable strategies are explained and segments and countries that represent key opportunities are identified. Data: Fertilizer market size and growth for 7 regions and 12 countries, by value; global fertilizer historic market, 2014 – 2018, by volume; global regional and country fertilizer market size and growth segmented by type of fertilizer – nitrogen, phosphate and potash; global, regional and country fertilizer per capita consumption and market size as a percentage of GDP 2014-22; financial performance 2014-2022 for Yara International Asa, The Mosaic Company, Potash Corp. Of Saskatchewan Inc, Eurochem Inc, Agrium Inc; global chemicals market size and growth rate 2014-18 and 2018-22; global chemicals market, 2018, split by segments. Strategies For Fertilizer Producers: The report identifies strategies for fertilizer producers including those being pursued by companies in the fertilizer market and those suggested by trends in the market. Strategies described include EuroChem Inc.’s strategy of expanding its distribution network to gain access to important markets by acquisitions such as that of its purchase of a 100% interest in Agricola Bulgaria, Bulgaria’s leading fertilizer distribution company, and Yara International’s strategy of strengthening its R&D department to improve its product offerings. Key Opportunities In the Fertilizer Market: The report identifies the global, regional and country subsegments where the fertilizer market will put on most $ sales up to 2022. NOTTINGHAM, NOTTINGHAMSHIRE, UNITED KINGDOM, December 18, 2018 /EINPresswire.com/ — HPS Product Recovery Solutions, the leading experts in process and hygienic product recovery systems, have appointed Technoweld Enterprises as their official representatives in India. Based in Mumbai, India, Technoweld Enterprises will work in partnership with HPS to deliver pigging and liquid transfer projects to companies throughout the country. The company is also the official, and sole Indian supplier for HPS spare parts and accessories, including pigs, pig detectors, seal kits, valves, and other components. Although HPS already has an established customer base in India, staff in the business are looking forward to working with Technoweld Enterprises to grow the number of customers they have in India. “We are really pleased that Technoweld Enterprises are partnering with HPS to bring the benefits of pigging technology to an even wider audience within the country. This partnership also allows the Indian market to have more direct access to our products and services”. “HPS are the world’s leading experts in pigging systems and liquid transfer solutions. Although we have worked with businesses in India for a number of years, Technoweld Enterprises' in-depth understanding of the Indian market combined with their technical expertise will support us in expanding and strengthening our product offerings even further”. “We are excited about this partnership and are proud to be working alongside the market leader in process pigging with a real focus on quality, innovation and customer support”. “Pigging is an exciting technology with lots of benefits, such as increasing yields, speeding up changeovers and reducing waste. “We’re really looking forward to helping companies throughout India, in a wide variety of industries, to achieve their financial, operational and sustainability goals by recovering residual liquids from pipelines”. Pigging (or ‘liquid product recovery’), uses a specialist projectile (the ‘pig) to recover residual liquid from process pipelines. The result is increased yields, improved efficiency and higher profits. 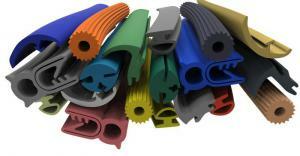 And because less product gets flushed away, it eliminates long, intense and inefficient cleaning cycles. In turn, this speeds up changeovers, reduces CIP chemical and effluent costs, saves water, and helps improve environmental sustainability. Pigging technology is in wide use in many different industries. These include food and beverage, personal care, cosmetics, pet food, paint, homecare products, plus more. Many of the world's largest process companies use pigging because the results are fast, and the benefits substantial. Payback is typically less than 12 months, delivering a high return on investment. “We’re looking forward to working alongside Technoweld Enterprises, to improve the efficiency, productivity, and profits of liquid processing companies throughout India”. The collaboration between HPS and Technoweld Enterprises will also speed up local communications, service support and response times. Headquartered in Nottingham, UK, HPS has offices in the US and Australia, and global partners worldwide, including Brazil, China, Malaysia, and Thailand. If you are based in India and wish to contact Technoweld Enterprises, you can find the contact details here for HPS India. 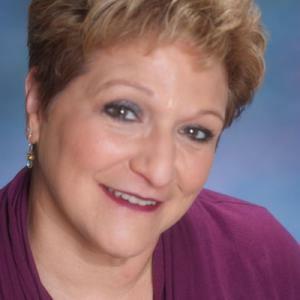 HIGHLAND PARK, ILLINOIS, UNITED STATES, December 17, 2018 /EINPresswire.com/ — Through her 22-year career in Real Estate, Debra Hymen’s approach has been to educate and empower her clients throughout the entire process, whether buyer or seller. Now Hymen has finally struck out on her own with Real Deb Realty. Specializing in residential properties, Hymen’s clients are everyone from newlyweds to singles purchasing for the first time to investors. “This business brings you to the real world, where the majority of the population is and where life happens,” says Hymen. “I like to think that I represent all people, not just six to eight-figure buyers but average people just like me." Hymen represents sellers as well but says the key to success when selling is all about pricing it right. “You usually get closer to if not more than your asking price if your price it where it should be,” says Hymen. “I'm not a data person, but every year the data points to the same thing. CUTV News Radio will feature Debra Hymen in an interview with Jim Masters on December 19th at 11am EST and with Doug Llewelyn on January 10th at 11am EST. Each Workers’ Compensation Claim is different and needs to be handled carefully by an experienced workers’ compensation attorney. LONDON, GREATER LONDON, UK, December 12, 2018 /EINPresswire.com/ — Companies such as Huntsman Corporation’s subsidiary Venator are targeting growth through launching innovative solutions for the global synthetic dye and pigment market, Synthetic Dye And Pigment Global Market Opportunities And Strategies To 2022, a new report from The Business Research Company, shows. Venator’s new products include GRANUFIN® Azur, a cobalt blue pigment in Venator’s GRANUFIN®’s range of virtually dust-free, color pigments launched in February 2018, and in 2017, ALTIRIS® W400 pigment, a new near infrared reflecting titanium dioxide (TiO2) pigment for exterior plastic applications. 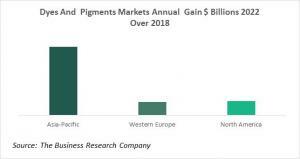 The dyes and pigments market leader, Clariant International, is also pursuing growth through new products; it recently launched two new pigment dispersions for the Indian printing industry, Permajet IN-C and Flexonyl WF. Other dye and pigment manufacturers are focused instead on growth through expanding their business operations to new geographical markets. In the case of Tronox Ltd., for instance, both direct investment and acquisitions will play a part in their entry into new markets. In February 2017, the company entered into an agreement to acquire the National Titanium Dioxide Company Limited (Cristal) of the Kingdom of Saudi Arabia. In April 2016, Tronox opened a new ZAR 3.3 billion ($248.0 million) plant at Fairbreeze mine in Empangeni, South Africa. Some of these strategies appear to be paying off. The global market for dyes and pigments, which was growing more slowly than global GDP, is forecast to put on a spurt that will see its growth rate increase by nearly 75% in the next few years. Much of this growth will come from Asia Pacific where the demand accounted for over a third of the whole dyes and pigments market in 2017 and is growing at a rate nearly one-and-a-half times the global average. Asia-Pacific is among the world’s largest producers of textiles and consumer plastic products which are major end-users of synthetic dyes. China is the dominant consumer of dyes and organic pigments, and a major automobile manufacturer, which has resulted in large-scale use of automotive paints and coatings formulated by using pigments. China and India are major exporters of synthetic dyes and pigments. They also export large quantities of important raw materials for producing dyes and pigments and dye intermediate chemicals, which are subsequently modified for use in Western countries. Synthetic Dye And Pigment Global Market Opportunities And Strategies To 2022 is one of a new series of market reports from The Business Research Company. It provides a market overview of the chemical dye industry, analysis and forecasts of synthetic dye market size and the dye and pigment industry shares, market growth rates, market trends, market drivers, market restraints, market revenues, market shares and company profiles of the leading competitors. Similar coverage is provided for over 300 industry reports, covering over 2400 market segments and 56 geographies. The industry reports draw on 150,000 datasets. Extensive secondary research is augmented with exclusive insights and quotations from industry leaders obtained through interviews. Market analysis and forecasts are provided by a highly experienced and expert team of analysts and modelers. Actionable strategies are explained and segments and countries that represent key opportunities are identified. Data: Synthetic dyes and pigments market size and growth for 7 regions and 12 countries; global regional and country synthetic dyes and pigments market size and growth split by segments (pigments and dyes); global, regional and country synthetic dyes and pigments per capita consumption and market size as a percentage of GDP 2014-22; per capita average synthetic dye and pigment expenditure, global and by country; financial performance 2014-2022 for BASF SE, Clariant International Ltd, Flint Group, Huntsman Corporation, Dic Corp; global chemicals market size and growth rate, split by region, by country, 2014-18 and 2018-22. Other Information: PESTEL analysis, drivers and restraints, customer and operational insights, synthetic dyes and pigments market by country covering regulatory bodies, associations, investments, and competitive landscape; synthetic dyes and pigments market trends and strategies. Strategies For Synthetic Dye and Pigment Producers: The report identifies strategies for synthetic dye and pigment producers including those being pursued by companies in the synthetic dye and pigment industry and those suggested by trends in the market. Strategies described include the following: Clariant International’s growth strategy is to launch two new pigment dispersions for the Indian printing industry, Permajet IN-C and Flexonyl WF, while Huntsman Corporation’s subsidiary Venator’s strategic growth framework is based on advanced product innovations and solutions to enhance its market. In February 2018, the company introduced GRANUFIN® Azur, a cobalt blue pigment in Venator’s GRANUFIN® range of virtually dust-free, color pigments and in 2017, ALTIRIS®, a W400 pigment, a new near infrared reflecting titanium dioxide (TiO2) pigment for exterior plastic applications. Opportunities For Synthetic Dye & Pigment Companies: The report identifies the global, regional and country subsegments where the synthetic dye and pigments market will put on most $ sales up to 2022.